Cople Lower School dates from the early nineteenth century. The present building was constructed in 1868. Cople was part of the Duke of Bedford’s estate The Duke was interested in promoting education and his crest can be seen on the chimney stack. The name “Lower School” denotes the age range of the pupils. In this area of England a lower school accepts children from ages 4 to 9. The school has a role of around 60 pupils. The school also accepts “rising fives” each September, i.e. children who will be five years old during the school year and wish to start school early. The school has an excellent reputation and often has a large part of its intake from out of catchment area (parents who select this school for their children in preference to a nearer state allocated school.) When they leave most children normally move onto a middle school in Bedford or nearby villages. Often parents and other volunteers spend some time at school helping the children with individual reading practice and other activities. In 1994 the school celebrated its 125th year with a week of celebrations including a Victorian Open Morning, a Foundation Ceremony with the, then, present Marquis of Tavistock (the Duke of Bedford’s son) attending, an environmental garden, a village Music Hall and A Family Church Service. An excellent historical book which chronicles the school’s life was produced by the, then, Headteacher for the 125th anniversary. Some copies of this book and commemorative mugs may still be available, contact The Headteacher, Cople Lower School, Willington Road, Cople, Bedford MK44 3TH, England. 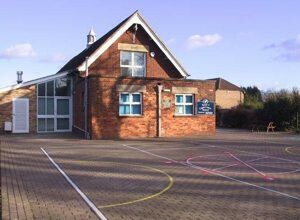 Cople Lower School is now in federation with Willington Lower School in order to best develop strong and sustainable Primary education for both villages.